Even before you’ve sold your first event ticket you will have people asking for help. That’s why you need a support strategy and the right support channels for your event. There are dozens of things your customers need in terms of support. Some of them are obvious while others are surprising. What you can do to insure an wonderful experience is set up the right ways for your visitors to interact with you and be open to questions and suggestions. I’ve put together a list of the most used support channels, the ones you should really focus on. Some of them can be really easy to set up. For example opening a Facebook account to receive requests directly on Facebook Messenger. Other examples include setting up an email address or publishing your company phone number. Others require a little more work and a better understanding of your customer’s needs. Examples include setting up an event website, installing a live chat extension or setting up a helpdesk for real time support during your event. While email may seem outdated it is still a very powerful tool if you can use it right. 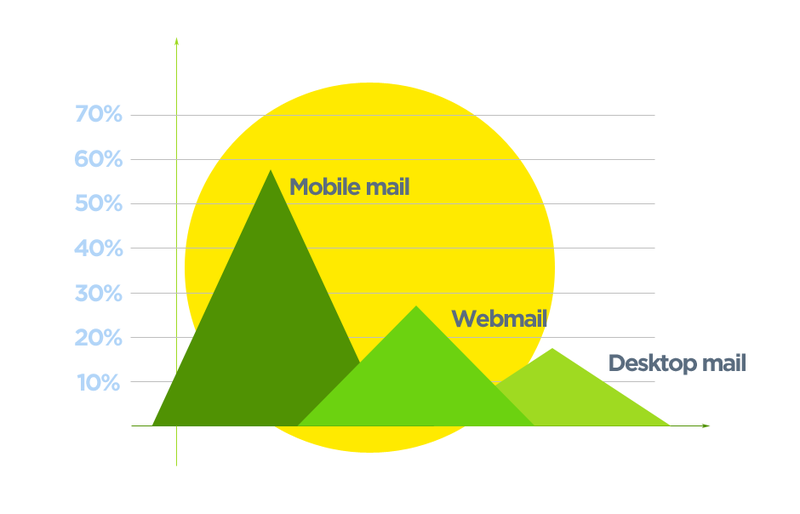 As smartphones have become ubiquitous the number of emails sent and read from mobile devices has grown quite a lot. A recent research by Litmus showed that 56% of visitors are reading their email on mobile phones, 27% by webmail and only 17% are reading the emails on mobile desktops. This shows an increasing appetite for mobile mail consumption and a great opportunity to interact with your future visitors using an age-old technology that is still extremely powerful. Visitors will ask for details on your upcoming event by email. Do keep in mind that their attention span is quite limited while reading email: just 8 seconds. Try to be brief and clear and keep in mind that your email will be opened on a mobile device so stick to readable fonts and not many images. As your event will grow, you will need to start implementing ways for more of your team members to be able to answer your emails. Customer messaging platforms like Zendesk or Intercom perform really well at this task. One of the best ways to interact with your customers, especially visitors that have never interacted with your event, is to open a phone support line. Voice is still one of the best ways of interacting with your customers as it provides a way to forge a deep and strong bond, as well as answer questions. As stated in a Microsoft customer experience report, phone is the most used support channel in the US, followed by email and live chat. 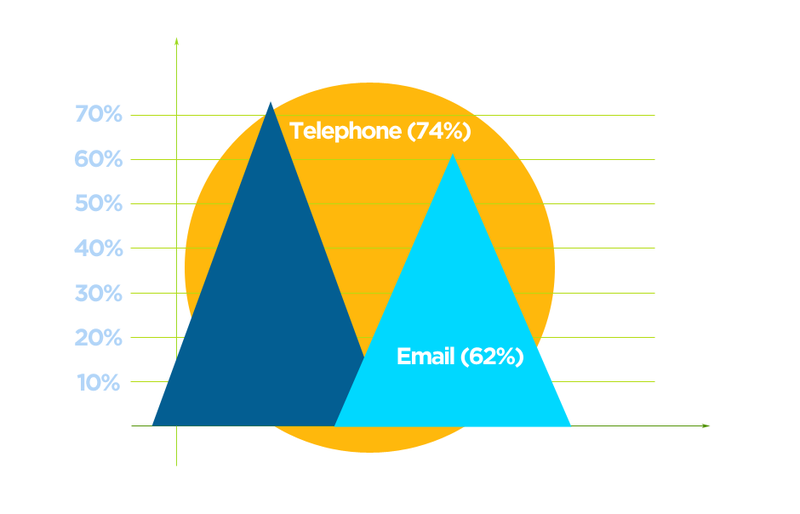 Customers would rather interact through a phone support line (74%) than email (62%). However – keep in mind that phone support should be a human touch point. More than a third (34%) of US consumers answered that the most frustrating part of trying to get help via telephone is “Automated Telephone System (IVR)/inability to reach a live person for customer support.”. 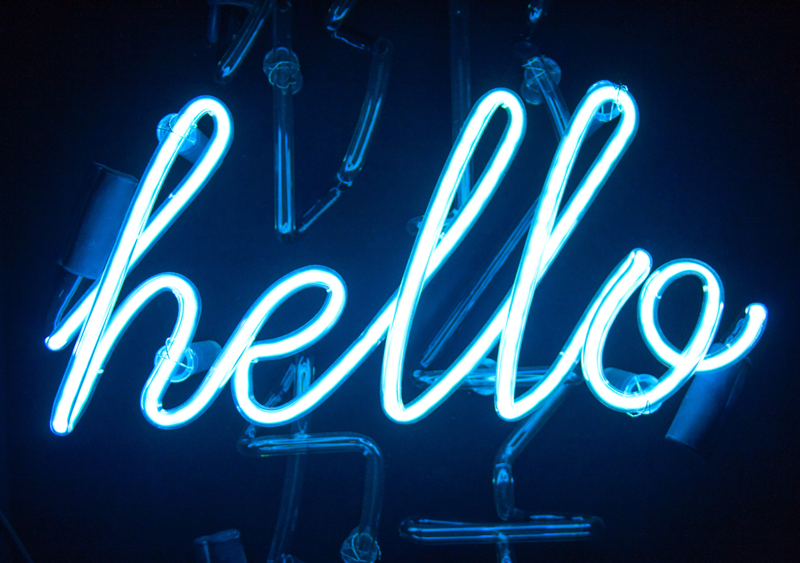 As social media has become so widely used and most social networks now have some form of messaging and/or interaction between visitors and brands, Social Media couldn’t miss from this list. As events are inherently social, support on social media channels can answer questions for future visitors but also convert others to buyers. 71% of customers that receive positive customer support on social media channels are likely to recommend your brand to their peers. Source: NM Incite. Over four out of five millennials (81%) would most likely engage a brand via social media for customer support. This means an increased appetite for social media support for younger generations, as only 63% of Gen X’ers and only 44% of Boomers would use social media support. Source: Sprout Social. Take care of complaints on social media: Over 72 % of people who complain on Twitter about a brand expect answers within one hour. Over 70% of complaints go unanswered. Source: Aspect. To put it simply – social media support is increasingly important for brands and especially for events because of their social nature and reliance on word of mouth. 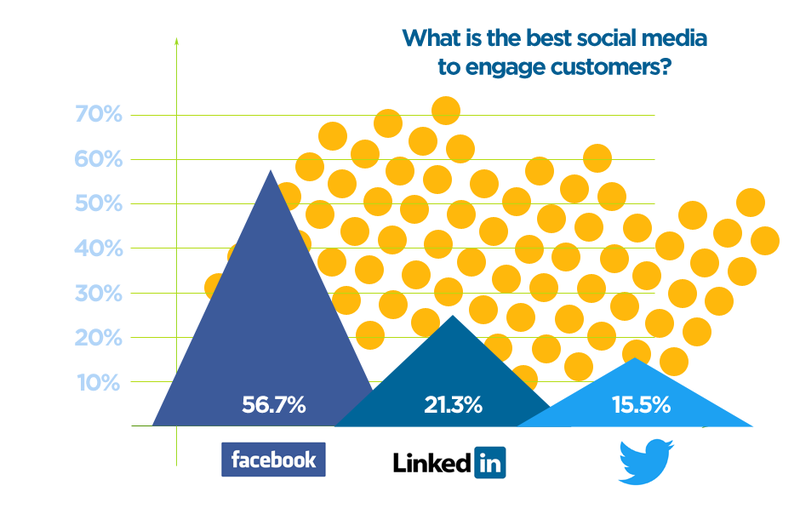 How to improve your social media customer care? 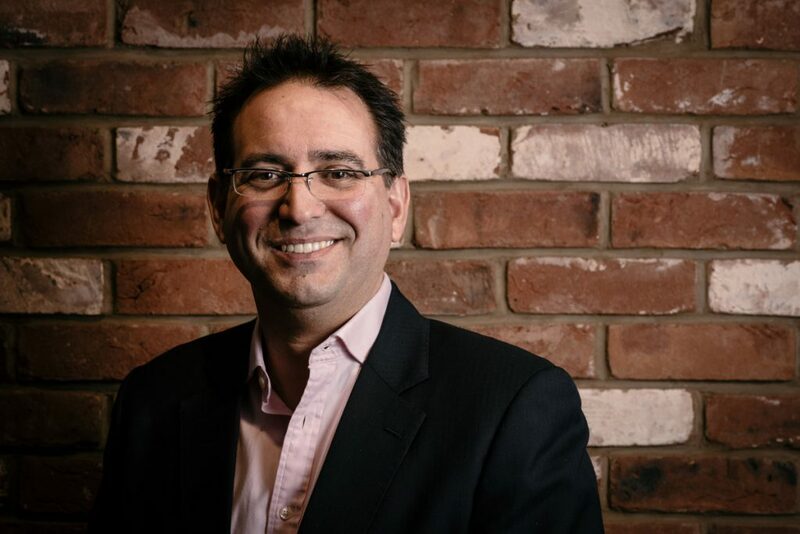 So – how can you improve your social media customer care channel? Encourage your visitors to connect and interact with your brand on social media. Try to keep conversations authentic and friendly. Basically – try to make your event’s voice sound human. Keep it simple and allow visitors to explore more on your owned media (blog, website, knowledge base). Your event website is a great place to allow visitors to interact with you and ask questions. Rather than email, phone support or social media outlets, some visitors may want to interact with you in real time. Live chat apps work on your website, give you insights on your customer’s web journey and allow you to offer contextual support. They’re easy to set up (usually signing up online and copying a script line on your website) and can prove to be very powerful. At Oveit we rely heavily on live chat support to answer event planners’ questions in real time as they are using our event management app. 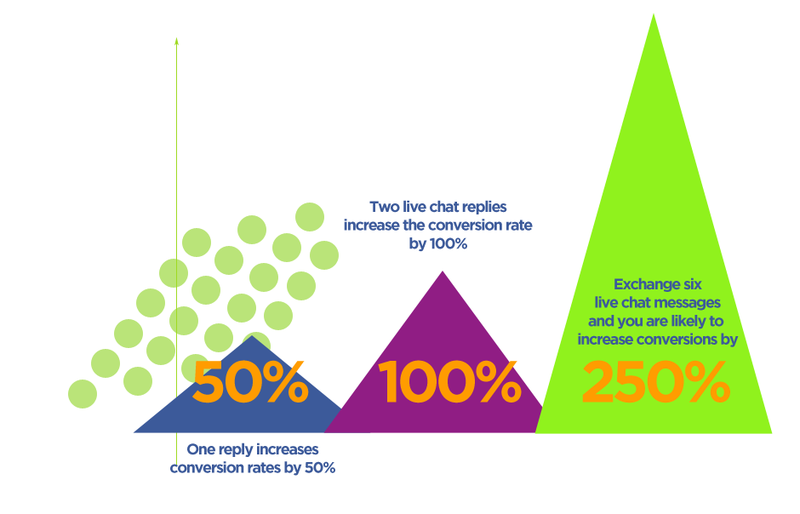 Most live chat support apps allow you to set up idle messages, “usually answers in” estimates based on historic data and allow multiple users to answer visitors questions. 5. Help your customers where they need it most: during the event, in the real world. Notice a pattern on our previous support channels? They all focus on digital ways to engage and help your event visitors prior to the event. However the place where most people need help and where the real experience is built is during the live event. Set up a help desk: If you have a registration section or a ticket scanning area, make sure to set up a help desk for your visitors near it. Your visitors might need directions or maybe their registration details (tickets, badges) are not working. Give them a way to reach out and sort out their problems. Make sure the desk is staffed with well qualified professionals that are able to answer complicated questions and have the ability to act on solving problems. Set up easy to understand signage. Where is the main stage? How about the cafeteria? Where are the toilets? “I can’t see the trash cans”. Where’s the bar? Sounds familiar? Sometimes the support channel should be built into your event design. Good signage can go a long way in directing your visitors, especially when there are many of them. Visual, intuitive customers support is the best support channel you can have on live events. Does your event have a mobile app? Use it to answer visitor’s questions. Many conferences and festivals are now using event mobile apps. While the apps usage is mostly focused on live content, agenda information, visitor generated content and networking, it can also be a great way to answer your visitors’ questions and offer customer support. User Generated Content for Events – How Does it Work? Guess who’s the biggest driving force behind your event, besides you? Your visitors, of course. They are the single best critic and the most powerful force that can drive your event up. There’s also something about them that you should be really interested in: they are trusted by their friends, colleagues and family. This post is about how you can get user generated content and improve your event’s experience and increase your exposure. What is Visitor/User Generated Content? Visitor generated content is a term we’ve derived from “UGC” or User Generated Content. You’ve probably heard about UGC as the content that is generated by users on all sorts of digital outlets. It may be for example a social media post, images uploaded on Instagram or Snapchat or videos uploaded on YouTube. In the event business this type of content is generated by visitors to your events and distributed either through social media or on specialized outlets – for example your event’s mobile app, your website or a digital wall. 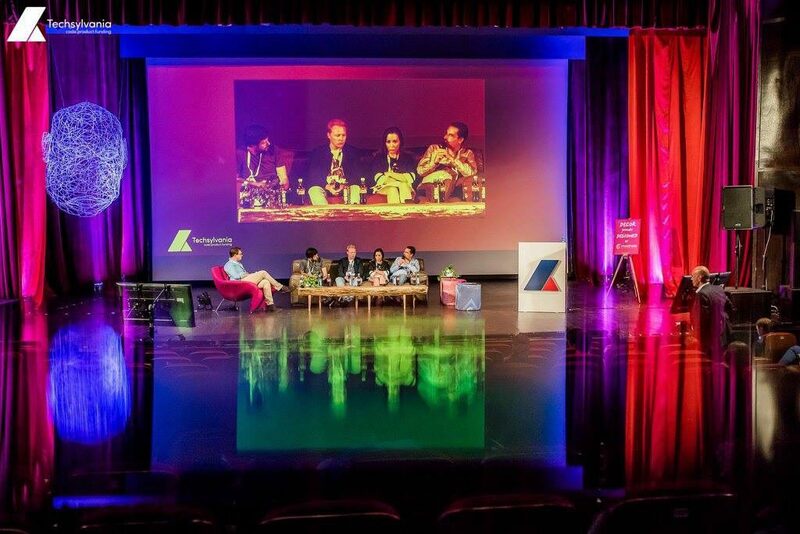 Why is User Generated Content important for events? How can User Generated Content help your events? As shown – all data points to the fact that UGC is a great way to improve your event’s exposure and improve visitors’ experience. Increase ticket sales and improve conversion rates: Purchase anxiety is a really strong factor when your visitors purchase tickets to your event. If you happen to host a large event that has an awesome track record the purchase anxiety might very well be reduced. However, if you are just starting out your happy visitors’ opinions may generate additional traction. Purchase anxiety is a very strong factor in any digital purchase but with events it’s even more so. Buyers pay upfront for an event that will happen sometime in the future. They have little control over what is actually delivered and the experience is definitely subjective. Other visitors’ content might provide some insights on what they are actually getting. Attract social traffic and use social proof to convert it to sales: When visitors post content on social media – this attracts new traffic to your event’s website. This traffic is already pre-qualified as it has been referred by a reputable source (a peer) on an interesting subject (your event). By adding social proof from UGC you can add event more power to visitors’ content and generate instant sales with lower costs. All in all User generated content is a great way to improve exposure for your events, decrease marketing costs, engage your community and attract new visitors. And now … for the actual work – how do you make your visitors generate content for your event? The first, most simple and often not used way of helping your visitors generate content is to ask them. You can do so by including a “Call to create” in your owned media, during the event and after the event. After purchasing tickets or registering for your event: Include a thank you page that allows visitors to share the fact that they are attending the event. Maybe add some extra sauce to it by asking them to share with their friends “WHY” they will be attending their event. Catalyze this by adding an extra perk for those that are willing to share this with their network – maybe a free t-shirt, special access to the event or even free coffee would do. Follow up with your visitors in an email and ask them to post an event review either on your Facebook profile, on your website, in a comment on your Instagram post and others. This is UGC 101. Set up an event hashtag and encourage your visitors to use it when posting updates about your event. It doesn’t have to actually include your event brand but make it something that stays out and allows people to mentally connect it back to you. 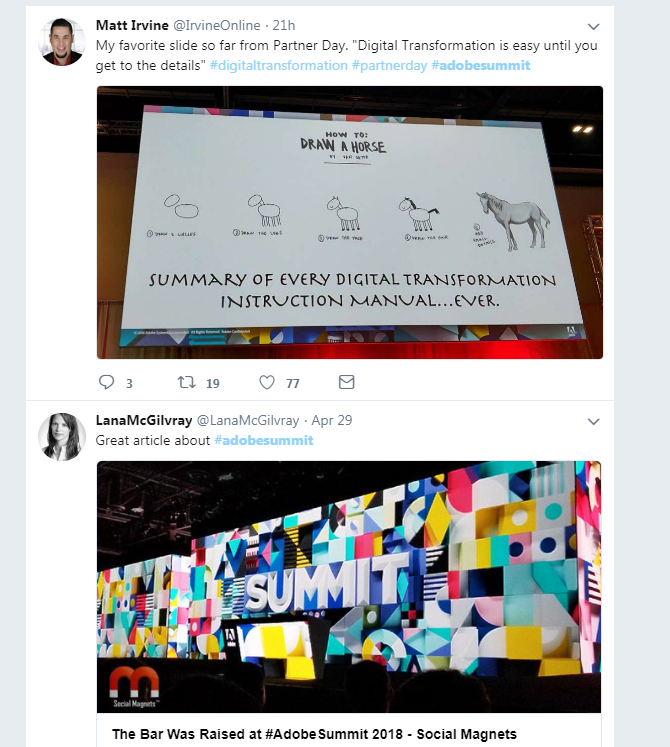 As I was writing this post one of the trending hashtags was #AdobeSummit, a hashtag regarding the Adobe Summit – The Digital Marketing Conference hosted by Adobe in London, UK. Twitter tag from one of the most influential music festivals in the world. Visitors would mainly post selfies showcasing their style and outfits. As Coachella is one of the go-to entertainment brands for personal style and fashion, that was bound to happen. 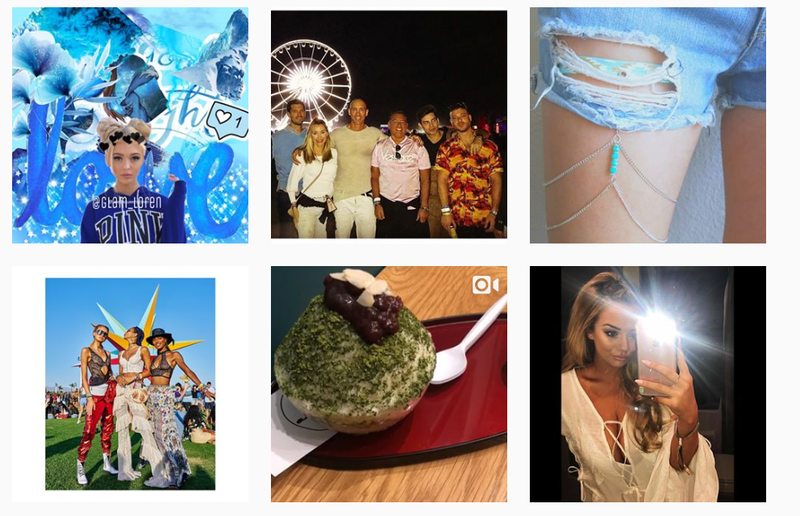 Over 260 000 Instagram posts showed the festival’s hottest people, outfits and trends. These are just two examples that you can use as a starting point for your next event hashtags. Encourage people to post it using a Social Media Wall, offering prizes and special access credentials or just showcase the community in a special page on your website. However – it doesn’t have to be your exact brand name as some visitors might not be that happy to promote your event right from the start. You can choose a hashtag that outlines your values and what your event stands for and just create a special tag from those. As the big disco ball in the Adobe Summit example above shows – people are willing to share interesting decors in your event. Many events do this quite well but probably the best at it are large festivals. 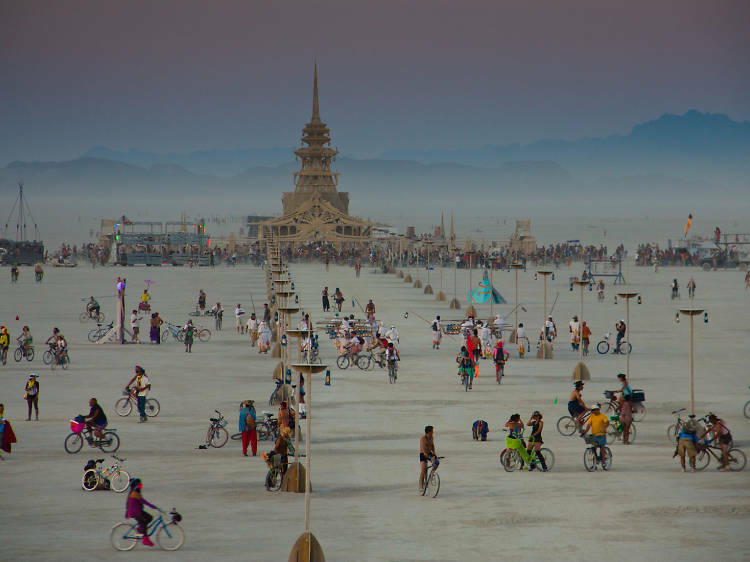 For example, the Burning Man festival hosts a series of arts installations from various artists that can attract visitors and encourage them to share these moments with their fans and followers. One of the most interesting ways to make your event stand out is through flashmobs, where groups of people create specially choreographed moments. These are artistic moments in themselves so they have to be carefully planned and delivered at a moment of maximum exposure. Color can really set the mood for your event, making your guests feel part of a greater community. This really helps creating shareable moments. Enjoy being fully colored at the end of the event. 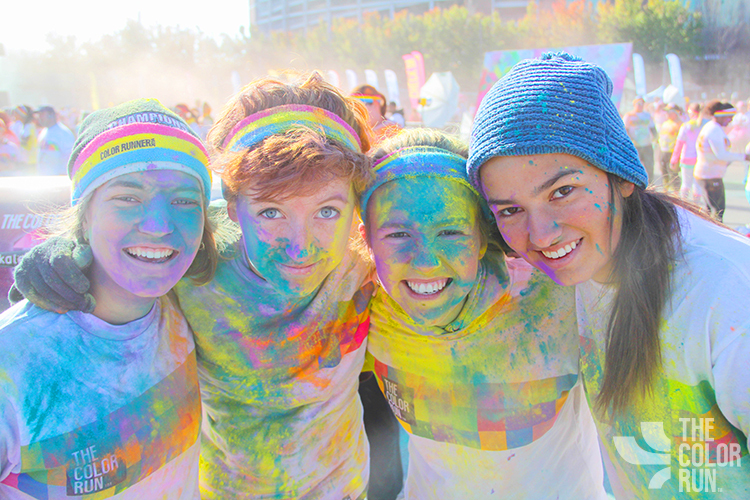 Throughout their run, they get covered in color. At the end, they get a special party, photos and a great chance to share their crazy run with their friends. This is of course just a starting point and your creativity is the best tool to use when thinking of ways to make your visitors generate and share content. Set up social media hashtag walls where you display content from those that posted about your event. A great place to start is Walls.io, an app that helps you generate social media walls that can be shown at the event. I really hope this helps your event and makes it more engaging than you thought possible. Remember – these are just some ideas and guidelines. Let your creativity help you help your visitors create content. It’s the best advertising you can get. For the past years we’ve worked with some of the best minds in mobile app development: our partners at mReady. Given the rise in mobile apps usage at conferences, we’ve asked them for some tips. In this interview you’ll find out how and when should event planners use conference apps. 1. How and why did you start building Meet? Six years ago, when mobile apps were just on the rise and we were just beginning our journey as mReady, we thought would be a good idea to build an app for a conference some of our friends were organizing. So we did. Over the next 3-4 year we have been constantly improving it, based on the feedback we got from the conference attendees and organizers. A couple of years ago someone approached us to request a similar app for their conference. Shortly after we did that, other requests for event mobile apps started popping up. It was a sign the time had come to take the next step and bring Meet to the market. 2. What was the toughest challenge in building a product that fits the event planners’ needs? 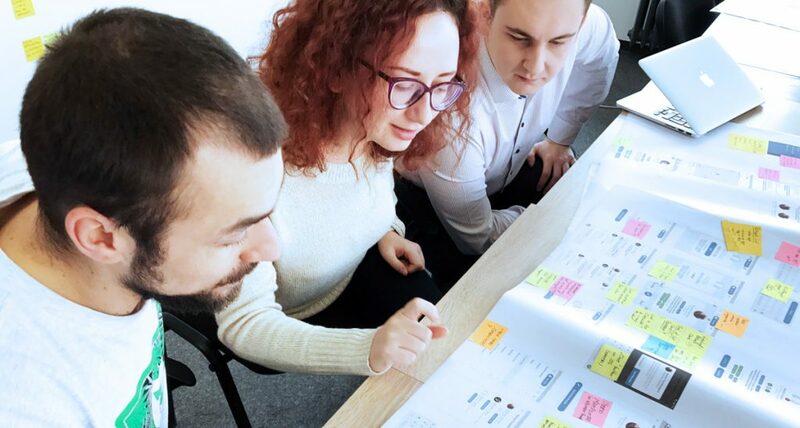 The main challenge in building Meet was meeting the users’ needs. How do you manage to offer an outstanding event experience to the attendees, while also giving organizers the proper tool they need? You cannot only focus on one aspect of the product, because if attendees don’t like it, they won’t use it, hence the organizers efforts won’t be paying off. Likewise, if the organizers can’t see the benefits for them and their attendees, they won’t know why request it. 3. Is there an event size where you would recommend conferences to start using mobile apps? There are a few parameters to take into account when deciding whether to use a mobile app at an event. Some of them are the number of attendees expected, the number of days, stages and locations. For a 1 day – 1 stage event dedicated to less than 100 people, there is very little to no need for an app. As the number of days, stages and / or locations increases, so will the necessity for an app, in order to better and easily structure all the event information and pass it on. At events larger than 150-200 attendees, even if it’s a one day event, the networking component of a mobile app becomes super useful. 4. Where should event planners look for Return on Investment when launching conference apps (visitor satisfaction, loyalty, increased interaction etc.)? Because of the relatively high cost for a mobile app, it’s good to make sure it will have a positive return on investment. Since we’re not talking about an ecommerce app, it can be difficult to identify the right metrics to take into account for ROI. However, there are a few elements that are worth considering. Since the smartphone is usually at an arm’s reach, it’s easy to get real-time content feedback from the attendees. By being able to communicate in real time all the event info, a mobile app contributes to building trust towards the event brand, increasing brand awareness. For recurring events, an branded mobile app can also be turned into another promotional tool. Still, the most important element to focus on is the community. 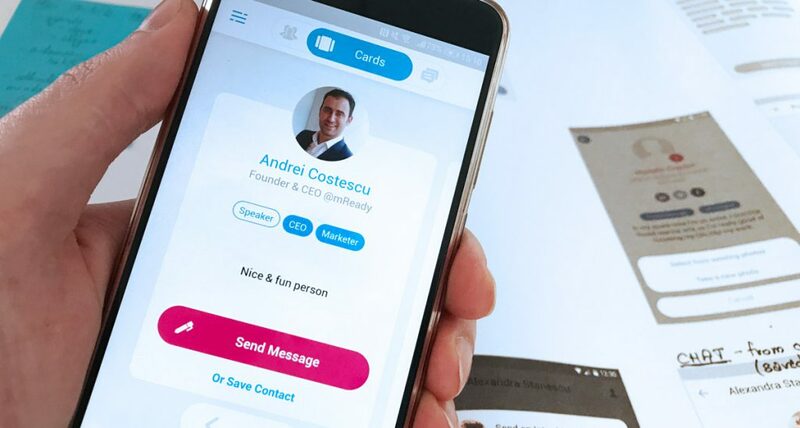 By facilitating meaningful connections between event attendees, a mobile app is addressing the very need for belongingness, which is one of the five primary human needs, and has become increasingly important in present times. 5. What should any event planner know before requesting a mobile app? With the ROI in mind, it’s worth mentioning that a conference app, just like most of the other mobile apps, is not a loyalty tool in itself. Just because you own a conference app it doesn’t mean that people are going to fight to get it without any communication effort from your behalf. It is the event organizer’s job to promote the benefits of using the event app to their attendees. In order to help it meet the ROI goals, the app has to be intensely promoted. And this can add to the marketing effort event organizers already have. 6. Why are customized apps better than off-the-shelf conference apps? When talking about the difference between an off-the-shelf standard mobile app versus a customized or branded one, there is no better or worse. It all depends on the organizer’s needs. An off-the-shelf app is usually less expensive, less customizable and could require more persuasion skills for the attendees to adopt it. Nonetheless, is can be a very good option for low budget event organizers who want to offer a mobile app experience. The are some very good options for non-branded event apps available. On the other hand, a customized conference app is focused entirely on the event’s brand identity, with many options for customization. At the same time, it becomes an integral part of the event experience and would be adopted more easily by the attendees. The need to explain the benefits of using an app during the event to the attendees is still there, however it’s simpler to be integrated into the overall communication plan. Here you go – 6 great tips from a great team. If you need to get more insights, be sure to visit their app page and ask for a call. They will be happy to walk you through the app’s features and you can get a feeling of how your event would benefit from it.